Everybody knows they should back up their personal data, but the majority of people do not. There are a few reasons for this, some of which are valid, others of which are lame. If you are using OSX, this article and the next will show just how simple it is to put an automated backup system in place. There are several ways one can back up data: back up to a partition on an internal drive; back up to “the cloud;” and back up to an external drive. We don’t really like backing up to a partition in an internal drive. If the drive fails, then everything is lost (in techno-speak, “You are hosed, dude”). Backing up to the cloud is a pretty good strategy because the data will always be available regardless of where you are (assuming you have Internet access). The down side of a cloud backup is if you have a lot of data, the initial backing up to can take a long time. Also, you will likely have to pay an annual storage fee for the data. Backing up to a single, portable, external drive is the strategy we like best and is the one we have been using for the past twenty years. Our idea is that if we would only grab one thing (because of fire, alien invasion, etc. ), we would grab that drive. There are many large external drives available off-the-shelf. However, we have found that it is usually more cost effective to buy the enclosure and drive separately. We like to pick an enclosure with as many different connection options as possible. That way, we have maximum flexibility when it comes to the kind of disk we can put into it and what we can connect the unit to. 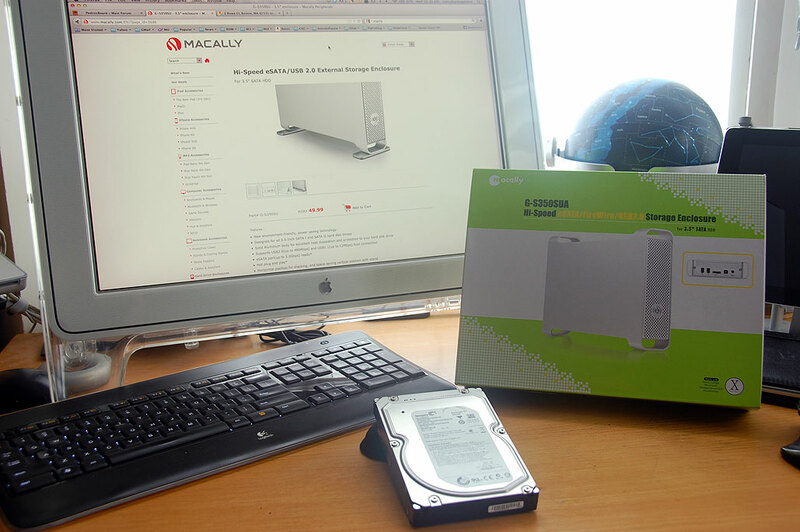 A good source for drive enclosures is Macally. This model(G-S350SUA) is one of the more versatile units on the market. We like it because the drive enclosure has an all aluminum body for excellent heat dissipation, it will accommodate 3.5″ SATA I and SATA II drives, and it supports all the currently available host connections (USB1.1 :up to 12Mbps, USB2.0 :up to 480Mbps, eSATA :up to 3.0Gbps, IEEE 1394A Firewire :up to 400Mbps). Anyone keeping their finger on the pulse of SATA hard drive capacity will have noticed that multiple terabyte disks are now very affordable. We picked up a 3TB Seagate unit for $100. Now that was a great deal and we had to do a little digging to score a unit at that price. However, 3TB drives for under $150 can be had without much effort. Installing the drive into the Macally enclosure is a very simple “plug-and-done” task. There are no cables to connect and no dip switches to set. 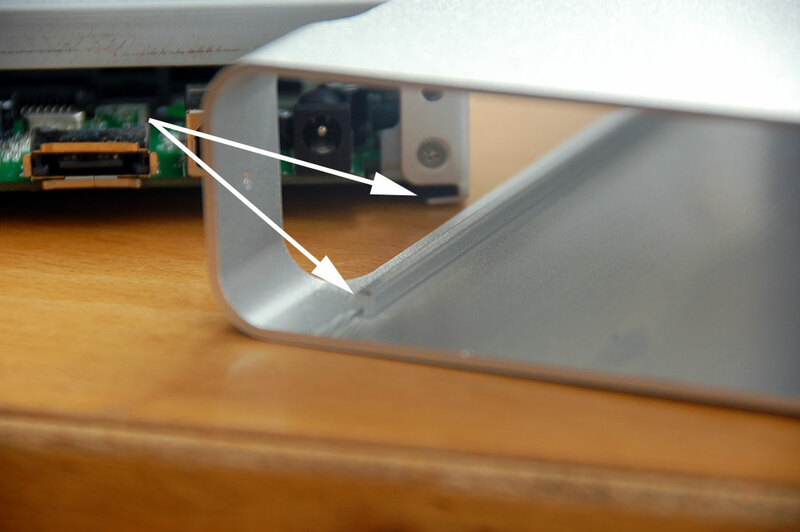 We just had to to slide the drive into the the connector, attach two screws to secure the drive to the frame, and slide the assembly back into the housing. The only thing to be aware of is to make sure the frame mates with rail before trying to slide the unit into housing. 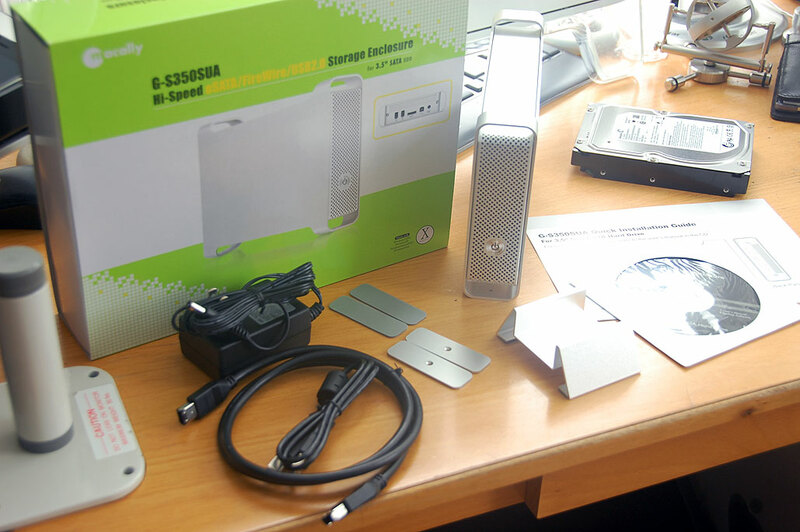 Once everything has been put together, the drive is ready to be connected to a computer and formatted for use. In the next installment of this series, we’ll show how to configure this new 3TB drive for automated back up using OSX’s Time Machine feature. It is easy to setup, painless to use, and best of all…an integrated part of the Mac OS. Once set up, you can forget about it…until you need to get something back. Then you will wonder how you ever got along without it!